Mahiruho, mCare the hospital management system that revolutionizes the daily workflows of multispecialty hospitals with its state of the art cloud based infrastructure and a seamless UI that ensures efficiency of your organization. 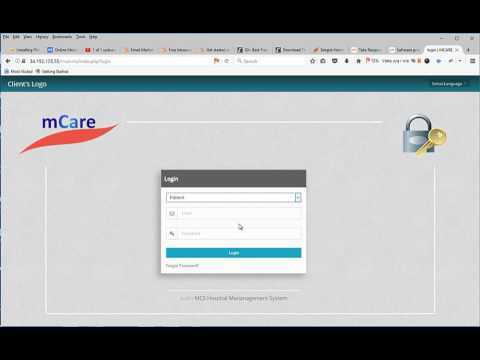 mCare is the ultimate solution to your woes in hospital management. Manage doctors, patients, beds, accounts. Maintain control over your hospital anytime, anywhere all at your fingertips in an intelligently designed dashboard. Mahiruho is here to provide you the ultimate IT solution. It takes pride in creating products that bring a positive impact on the market. They create unique products that are dynamic, flexible and belong to the class of equipment. The focuses are to shape the future of your business. Mahiruho Consulting Services generate world class software catering to the need and requirements of Government, Private Firms and the Individuals.